One of the first things people notice about one another is their smile. Because of this, people like having perfectly aligned smiles, and there is nothing wrong with that! Along with being aesthetically more desirable, however, having straight teeth is also a great way to ensure good oral health. As far as going through treatment, most people assume that “only teenagers get braces.” This is entirely untrue. There is no age limit on achieving your goal of having the smile you’ve always wanted. Here are 5 great reasons to get braces as an adult. Honestly, one of the absolute most important reasons for getting braces is for your health. Braces can be used to fix a variety of issues ranging from overbites and misaligned teeth to jaw issues and so much more. Any of these can cause oral pain and can lead to more serious health issues. Maintaining regular dentist appointments and going through orthodontic treatment to correctly align your teeth are going to ensure excellent oral health. As previously mentioned, having straight teeth is a characteristic many people desire. Having a smile you’re confident in can affect you in many ways. You might seem more likable and more confident because that’s how you feel. Life is pretty crazy and there are a lot of things that are beyond your control, but this is one thing you can control. If you want a straight and beautiful smile, then go get one! Just because you’re an adult doesn’t mean your teeth are going to move any differently, although they move a little bit more slowly because they have been in their current positions longer than when you were a teen. But no matter how old you are, your teeth are still going to move, so you can still get the smile of your dreams. 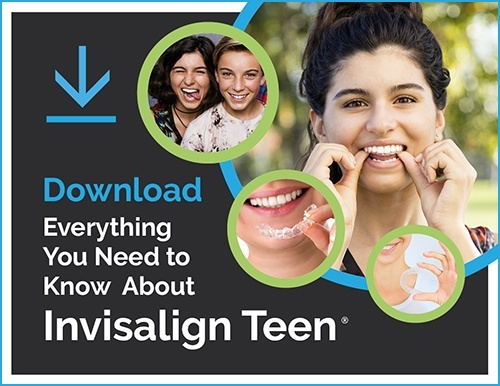 You don’t have to be a teenager to get braces or Invisalign, and you’re not too old to do it. More than likely, the biggest reason you do not want to get braces is because you don’t want your treatment to be super obvious. Luckily, there are more discreet options for orthodontic treatment now, so you can complete treatment without many people even knowing. Invisalign and ceramic braces are excellent ways to undergo orthodontic treatment and are very popular with adults. You’re an adult. You can make your own decisions and if, for some reason, you didn’t get treatment as a child or need treatment again, it’s okay! If financing this fantastic transformation is a concern, most orthodontists offer payment plans. Not to sound cliché, but you’re not getting any younger and your teeth aren’t getting any straighter on their own, so why not now? If most of these reasons don’t inspire you to get orthodontic treatment, you should do it for your oral health at the absolute least. Also, just think about how often you’re going to smile once you complete your treatment. Going through orthodontic treatment is something you should be proud of and once you’re done, you won’t be able to stop smiling.